The Kalamazoo College Institutional Review Board (IRB) reviews and approves all research involving human subjects conducted by Kalamazoo College faculty, students or staff. All federally funded colleges and universities are required by the U.S. Department of Health and Human Services (HHS) to have IRBs in order to protect the human subjects of research, and to ensure that the college researchers are complying with the relevant federal regulations and ethical guidelines outlined by the Office for Human Research Protections (OHRP). The IRB ethics and application process is not busy work, nor should it be viewed as a nuisance. Rather, the process is another learning opportunity, during which one becomes familiar with the ethics of human research. At the same time IRB encourages the researcher to become more familiar with his/her research project, and this is another opportunity to really think through your projects’ goals, feasibility and importance. 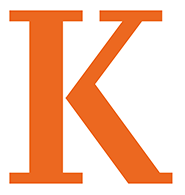 For more information on the procedures and policies of Kalamazoo College's Institutional Review Board, please see our policy manual. All individuals involved in collecting data from human subjects must complete ethics training.